Grand Staircase-Escalante National Monument is spread across 2 million acres of vast, untamed and diverse terrain, which makes it an incredible backpacking destination. The land has become a major playground for off-roaders, canyoneers, hikers, and geologists. While it has never had the annual visitation numbers of its nearby neighbors – Zion National Park, Bryce Canyon National Park, and Grand Canyon National Park – it is a favorite of outdoor enthusiasts and has been growing in popularity among travelers from around the world. The monument has recently received a lot of attention with President Trump’s announced intention to split the monument in three smaller parts, almost in half. Grand Staircase-Escalante is about a 3.5 hour drive from Las Vegas along the US 89. There are four visitors centers within the monument in Escalante, Big Water, Cannonville, and Kanab. 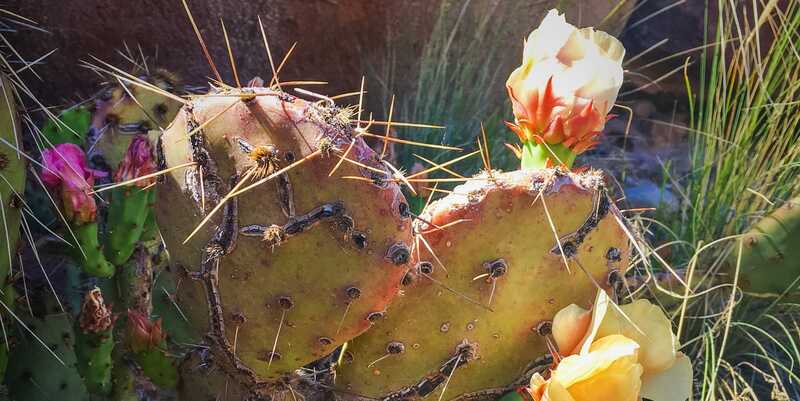 Hike or backpack along the banks of the Escalante River, camp beneath natural sandstone arches, and wiggle through slot canyons as you explore the last mapped place in the continental United States. If you’re looking for solitude and limitless adventure, you’ll find it while backpacking Grand Staircase-Escalante. 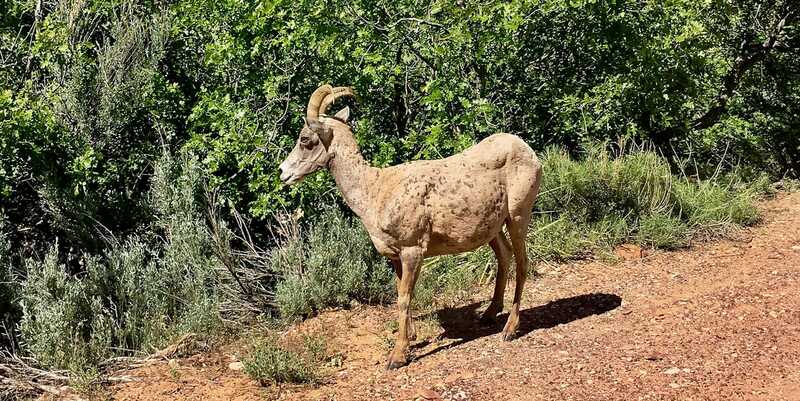 Whether you’re a novice or seasoned backpacker, Escalante is a great destination for backpacking as many of the hikes are mostly flat canyon bottoms. In addition, there is so much wide open landscape that you have the option to explore for as little as a few days or as long as a few weeks. A full 2 – 3 days is a good start to get to know the area. You can always extend the trip to make time for exploring side canyons along any backpacking trip in Escalante. One of the treasures of Grand Staircase Escalante Monument is hiking the Escalante River, a tributary of the Colorado River. The Escalante River runs southeast for nearly 90 miles until it reaches Lake Powell and Glen Canyon National Recreation Area, cutting out a deep canyon and creating an oasis of remote, unspoiled wilderness. The most common itineraries for backpacking the Escalante River are typically 2 – 5 days and 20 – 40 miles. You could start from both the Escalante River Trailhead (Highway 12 bridge crossing) or Escalante Town Trailhead (in the town of Escalante). Or, depending on the canyon you choose to explore, Hole in the Rock Road provides access from the west and the Burr Trail provides access from the east. Use of this area is free, but you must obtain a backcountry permit if you are spending more than a day in the area. Permits can be obtained from the BLM office in Escalante or filled out at trailhead register boxes. 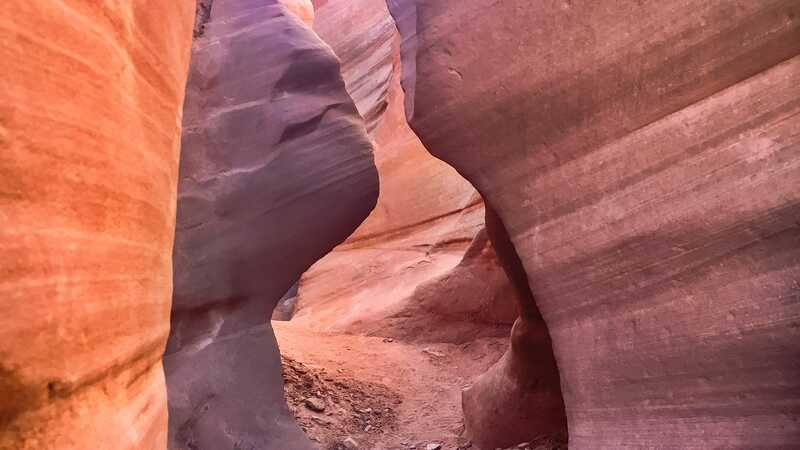 Some of the more famous and awe-inspiring slot canyon hikes along the Escalante River are Sand Creek, Spooky Gulch, Death Hollow, Coyote Gulch, and Neon Canyon. Death Hollow is a slot canyon with plunge pools carved out of navajo sandstone, Sand Creek has lower, red walls within ancient granaries built within them, and while backpacking through Coyote Gulch you will have the chance to sleep at the foot of massive arches and climb atop enormous flat boulders, which make an incredible stargazing platform at night. Most of these slot canyons along the Escalante River can be accessed via a bumpy drive down Hole in the Rock Road. The easiest way to reach Coyote Gulch is a 2 hour drive down Hole in the Rock Road from the town of Escalante. Another stunning canyon you should have on your list to visit is Hackberry Canyon, a 20.5 mile one-way hike with highlights such as the peaceful cottonwood-lined river corridor, Sam Pollack Arch, and the narrow mile-long Round Valley Draw Slot Canyon! To access, drive from Cannonville and turn right on Cottonwood Canyon Road. From Cannonville, drive 7 miles south past the Kodachrome Basin State Park turnoff onto Cottonwood Canyon Road and head toward BLM 422. Once you get to know Southern Utah’s intricate slot canyon hideaways and you’ll never want to leave. Carry a Map: Always carry a good Grand Staircase Escalante map, Escalante’s winding canyons can be confusing. Check the Weather: Check the weather frequently in all surrounding areas, slot canyons are very dangerous during the rainy season with a high chance of flash flooding. Carry Lots of Water: Though there are water sources in many places, you never want to be caught short on water while hiking in the desert. Tell or Bring a Friend: Tell someone your route and stick to it. In the event something does go wrong, this will make it much easier for someone to find you. Grand Staircase-Escalante was designated as a National Monument because of the extreme archeological and cultural significance of the ruins found in this area, belonging to both the Fremont and Anasazi cultures. The hikes are rich with granaries, petroglyphs, and remnants of the cultures who once thrived here. Escalante sits relatively high (5,800 feet or 1,767 meters in elevation) on the Colorado Plateau, creating winters where hiking in a shaded canyon with dozens of water crossings would be quite cold. 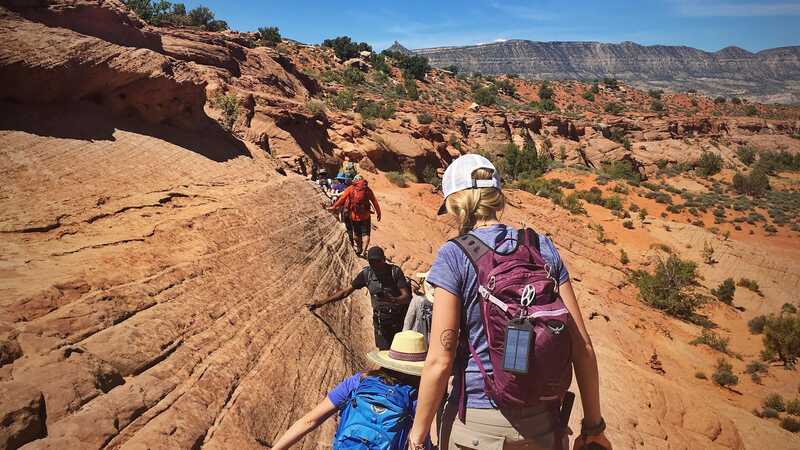 Because of this, the best time of year to go hiking or backpacking in Grand Staircase-Escalante is between April and October, skipping the July-August flood season. Overnight temperatures at the beginning and end of that season can get down to the mid-30s F. Within the April to October time frame, daily highs range from warm to hot, and overnight lows range from cold to warm, allowing the adventurer to choose their favorite climate. Want to backpack in Grand-Staircase Escalante National Monument with an expert guide? Check out our 3-day Escalante River Backpacking Trip!